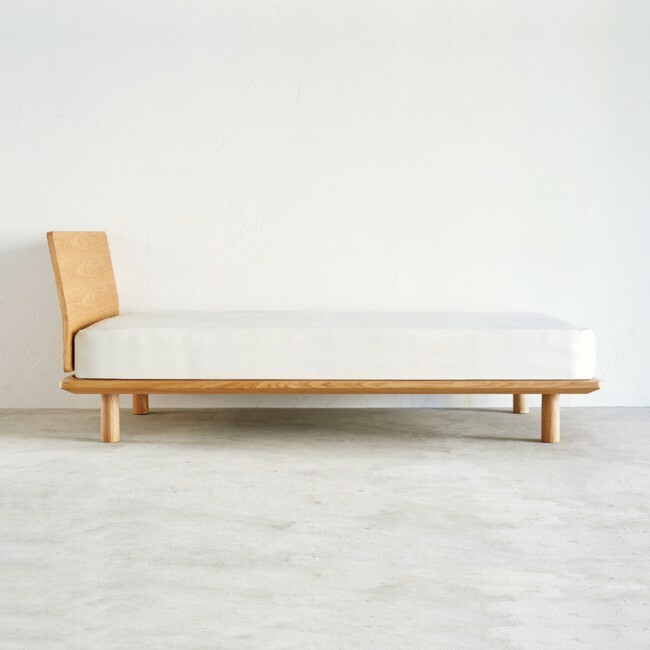 In previous posts, we mentioned the spacing saving capacity of murphy beds and even retractable ceiling beds, but as you, our Hong Kong friends may know, it’s really difficult to find such a bed. Often we are daunted and haunted by the challenges of furnishing our new rental or owned apartment because of it’s small footprint. Measure your bedroom and outline the size of a standard double bed (i.e. 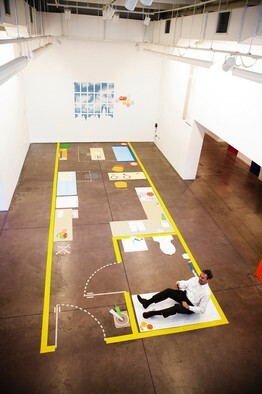 4′ x 6’4) on the floor using masking tape in relationship with the rest of your furniture. Not everybody is gifted with visualizing space when it’s empty. But if you outline your bed, you’ll be able to physically understand how much space you have or don’t have. This will help you tremendously in choosing a frame that can either be a tad longer/wider or shorter/narrower. With a small bed room, it’s beneficial if your bed is raised with exposed legs. This lightens the overall volume in your room. 3. Have a headboard but not a footboard. 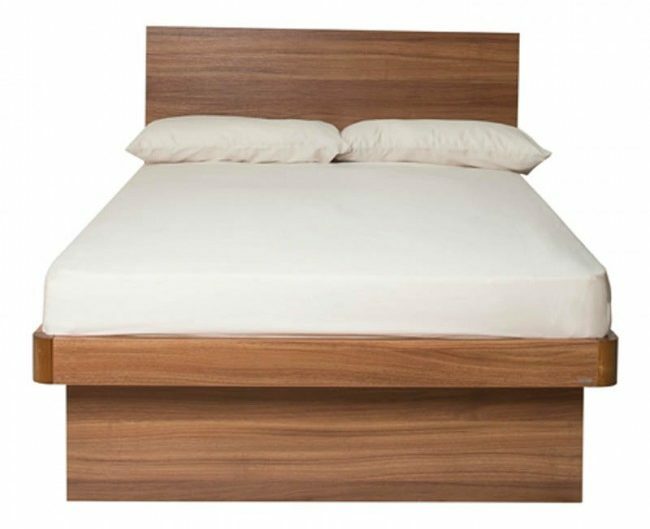 If your options are limited, find a bed where the footboard is as short as possible. This doesn’t only add less volume to your room visually, but this will greatly help with circulation (in architectural terms). What we mean is this, you want to maximize the number of ways to get out of bed. This is not only less distracting to your partner but more convenient for you. 4. 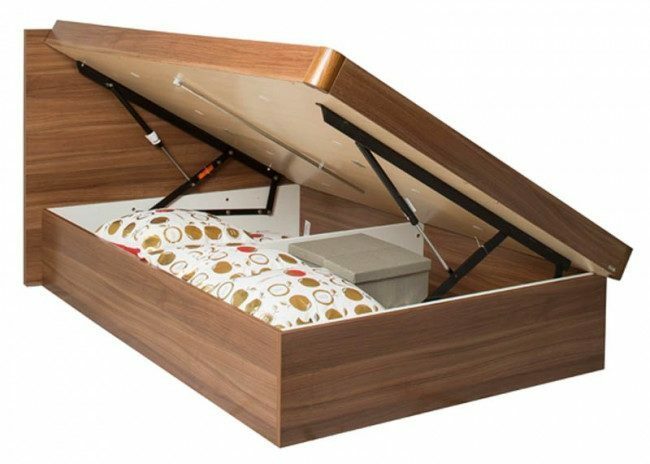 Consider storage under bed storage wisely. Whether you have decided to push your bed against the wall or have kept your bed in the center with two narrow aisles, most likely you will need a place to store linen or undergarments. So if you have a narrow aisle, drawers won’t do because they might be difficult to open. Maybe simple vacumm bags or you can splurge a little more for a hydraulic bed, be deliberate with your decision. That’s why we can’t stress enough the importance of outlining your space prior to furniture shopping. If you do choose to go with built in storage underneath, make sure the mattress base is bigger than the bed base. This takes away some of the bulk from the storage and we always recommend a rounded base to avoid bumping into corners at night. Trust us, it ain’t fun. 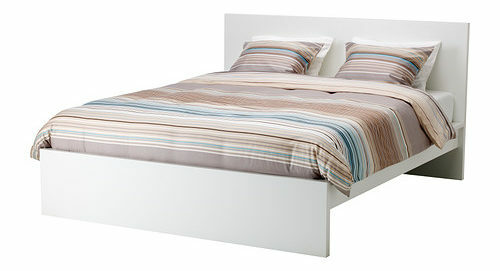 Bonus tip for choosing the right bed for a small bedroom: Choose a light colored bed frame. Remember lighter colors brighten up a space, making things feel bigger!